Heading off to college is every bit of exciting. You’re off to a new chapter of your life – meeting new people, taking academics further, and of course, living independently. Living in a dorm for the first few months can be lonely, as you may still be adjusting. You could be living with a stranger for a roommate, or left on your own. 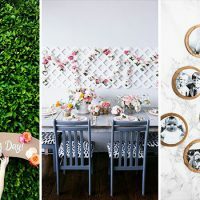 Why not make the experience better by decorating your space? As you prepare to head off, why not spend time planning about the type of room décor you want to see? Expenses, however, need to be taken into consideration. Instead of purchasing, why not save those bills and create them yourself? 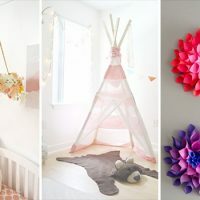 To save you a little more time to completely diy your room décor, we’ve gathered these DIY ideas for students to decorate their dorm room. 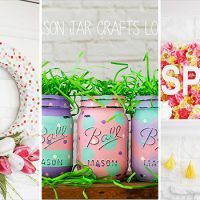 Don’t worry, these projects aren’t difficult – they’re a walk in the park that any student can attain their desired look and feel with style and aesthetic! Did we mention they’re all budget friendly, too? 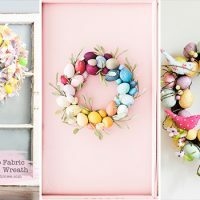 Just make use of daily items, fashion them with arts and crafts, and turn them into unique pieces everyone will want to have! 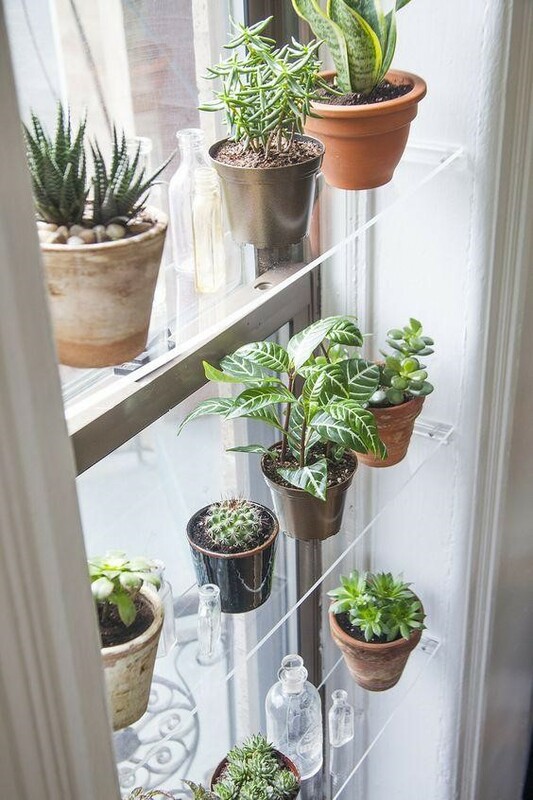 Dorm room decorations strewn all over your unit is one thing, but making a mini garden is taking it up a notch! Keep your room fresh and airy by incorporating mini plants in the mix. Place them by the window for plenty of nourishment. Those “welcome to my home” mats are getting old. 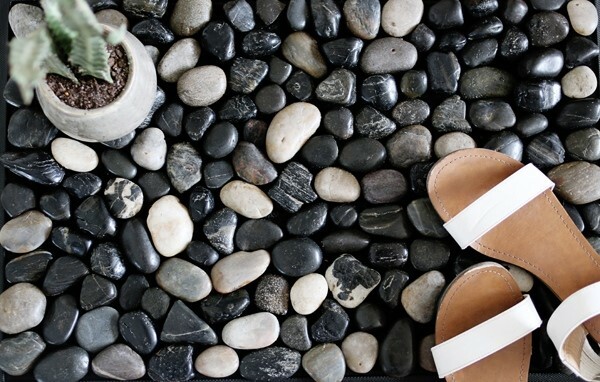 Delight your guests – and your room – by making this pebble mat! Just select the smoothest pebbles you can get from your backyard and even them out on a rubber mat. Arrange, then proceed to glue and you’re good to go. This will make your room, 100% dorm inspiration for everyone on the floor! Most storage boxes for sale are made for just that – storage. In other words, they look dull and boring, and sometimes, expensive. Why not use a box, instead? Make it sturdy by weaving in ropes you can surely purchase off your local craft store, and insert canvas inside. Voila! You now have a unique storage box, completely rustic and beautiful, one of the many ways on how to decorate the room. For a more unique take on dorm room ideas, we’ve discovered this mini hammock. Taking your classes will be stressful, and to have a little safe space – in this case, a corner – will guarantee you sanity. 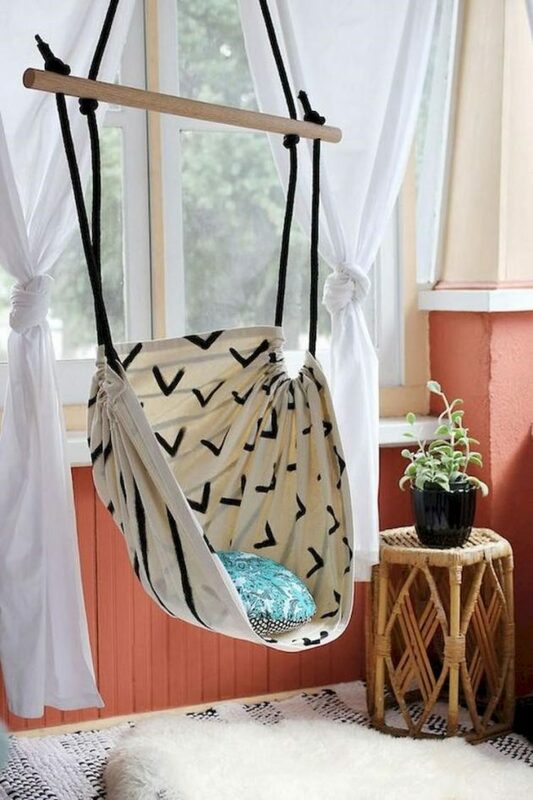 Select the best possible space in your dorm to hang the hammock. This might be a little more difficult to do, with the need to hang the hammock securely, but you’ll surely reap the benefits. Your friends will love this, too, especially during those movie nights! Bookends are expensive. After all, you’re only going to use them to keep your books arranged. The only thing they need to be is packed with weight, so why not use the unconventional? Discarded bricks! 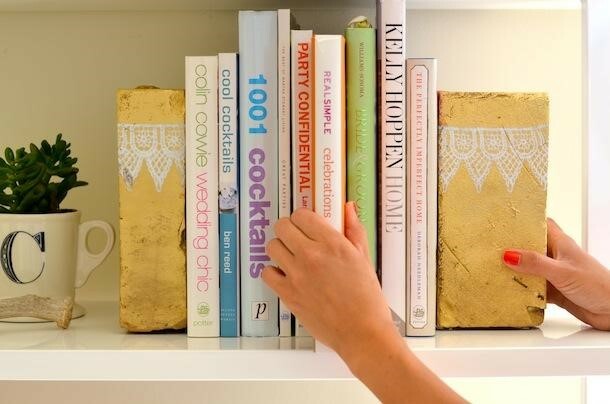 Just paint them whatever color you want, and stack them with your books – easy and convenient! Your desk space is where you’ll spend most of your time on, far more than your bed, I assure you. This is where you’ll set your laptop up, desk calendar, all your pens and paper, and of course your cork board. 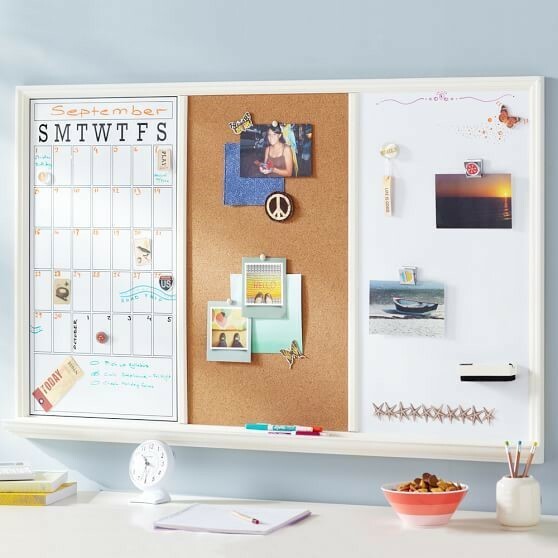 Now your cork board is the key to surviving college. Do the laundry, craft that essay, look for the best dissertation writing service (hey, you need help, too! ), visit mom – it basically holds your entire life! Don’t leave it as it is, all brown and boring. Decorate it with colorful posters, stamps, and photos! One of the most highly sought after inspirations are college wall decor. That plain wall is a canvas waiting to be painted by you. Sadly, not all institutions allow students to permanently pain their walls. 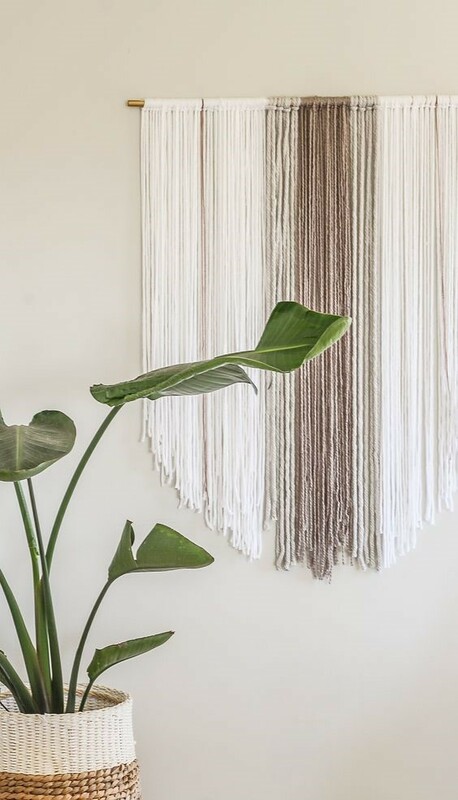 Which is why hanging wall decors are the way to go! You can do it yourself by taking old sheets and painting them however you please. Or, if you’re feeling craftier, weave or crochet them yourself! These will surely be the center piece of your dorm! Adore those ottomans you keep seeing on Instagram? Too expensive? We’re here to say you can definitely craft one yourself, using old tires and ropes! Use these for extra seats when you have friends over, and roll day them away easily under your bed. Or, use them for décor! They’re versatile and, not to mention, cheap! 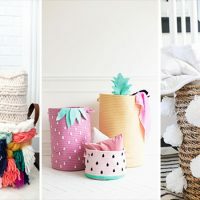 There are plenty more of college dorm ideas out there, but these DIY ideas for students to decorate their dorm room are curated especially for you, budget friendly and guaranteed to make you feel right at home, but enough to make you stand out!